It is not too late to delve into the readings for this Sunday. The reading from Saint Mark gives us an opportunity to think about the turning-point moment when Jesus touched a man with leprosy and everything in that man’s life changed. 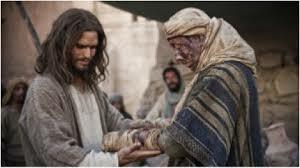 He who had been separated from his family, community, temple and friends by disease, who was considered unclean and made an outcast because of the wasting away of his flesh, now was made whole and enabled to join the mainstream again. He went from outcast to cast in, from sickness to health, from unclean to clean, from brokenness to wholeness. He “proclaimed it freely” and “spread the word,” the Scripture says.